All those expenses to consider for your big trip. We all need realistic ideas of how much things are going to cost on a backpacking trip, as it’s likely that we need to save up some money for the trip, or ask daddy for a few thousand dollars. So that’s why we have compiled a list of typical costs in this article. Please find emphasis on the word “typical”, as prices change. Nevertheless, they give a guideline on prices and allows you to pick and choose what costs apply to you. Because there are such different costs to consider when travelling New Zealand, we have split these articles into two. Backpackers either come to New Zealand purely for travel, that’s what this article is for – the cost of travel, accommodation, activities, food and everything while you are travelling around New Zealand – or they come on a working holiday. A working holiday usually involves extra costs like renting, commuting transport, phone network, etc, and that is what this lovely article, the Cost of a Working Holiday in New Zealand, is for. Flight: see how to book a cheap flight here. Visa: take a look at the Immigration New Zealand fee finder. Travel and medical insurance: our recommendation is this leading and cost-effective backpacker insurer in New Zealand, Orbit Protect. 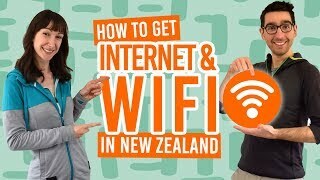 How are you going to travel around New Zealand? The most extensive public transportation network in New Zealand is the bus network, which is split into national buses and hop-on hop-off. By far, they are the cheapest way to travel. Of course, prices for hop-on hop-off travel differ depending on what pass you get and if you happen to hit a good sale. Check out how the hop-on hop-off bus network works in our handy article. A coach bus experience is different and can be a bit cheaper per day than hop-on hop-off, especially if you book well ahead and with a national pass. Then again, you are paying for a much more basic service. Make sure you read our article on the Bus Network in New Zealand to understand the difference. Next, you have cars and campervans. Buying your own is more cost-effective if you are travelling for more than two weeks in New Zealand. What’s great is that there are plenty of backpackers buying and selling car and vans so you can sell your car perhaps a bit cheaper than you buy it, so you more or less break even by the end of your trip. On the other hand, you need to consider the cost of fuel in your budget. Petrol tends to be around NZ$1.70-2.20 per litre. You will also want to consider car insurance too. Renting a car or campervan will save you the time and effort that comes with buying and selling a second-hand vehicle. The price of renting shoots up during the summer months, while some van hire companies have a minimum time period that you can hire, for example, you would have to pay for the campervan for at least 14 days. Again, consider fuel costs. Other national transportation comes in the form of flights and trains. Because of the limited competition in New Zealand, flight prices stay as high as they like. A flight between Auckland and Queenstown, for instance, can be anywhere between NZ$120-240. A train journey between Auckland and Wellington or Christchurch and Greymouth can be NZ$99-220. A major price determiner is how far in advance you book. Now you need somewhere to sleep as you travel around New Zealand. For anyone taking the bus or it’s the dead of winter, hostels are your answer! We have a pretty large amount of backpacker hostels here in New Zealand, so finding one is never too much of a challenge. Better yet, hostels are affordable. The average price for a hostel in New Zealand is NZ$20-30 for a dorm room per night. For more info about accommodation cost in the Major New Zealand cities, head to the City Accommodation Guide section of our site. Also take a look at our New Zealand guides, which list every hostel in a town, city or region. If you are travelling by car or campervan, and have camping gear, then try out some campsites. They are cheaper than hostels. Some are even free, which we have listed for the North Island and the South Island. Campsites are a great outdoors experience in themselves, with most being in stunning locations. However, they do not always provide showers and other comforts of a hostel, so a healthy mix of campsites and hostels will be a good money-saver for those travelling by car. Cook for yourself and you’ll make the most of your budget. Grocery shopping is relatively affordable, as long as you stick to the supermarkets rather than the overpriced convenience stores. Goodbye, money! It was nice knowing you. 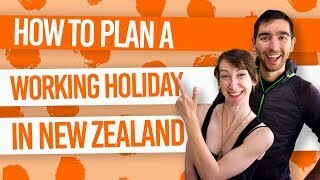 Many of us backpackers come to New Zealand on the working holiday visa so that we are able to experience living and working in a foreign country, as well as being able to fund our travels. As we have been backpackers ourselves, we’ve learnt a few tricks for saving money along the way. Make sure you give these articles a cheeky read!